SKU: wow-165519 Hellfire Infernal Riding Paladin with several 120 Alts | Titanslayer! Timelord! 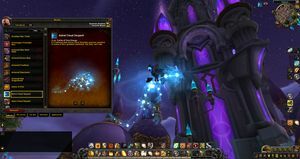 | 275 Mounts, 209 Legacy Feats, 45 Feats of Strength - Cutting Edge Achievements | 2 BfA Collector's Edition Accounts with Multiple LvL 120s! Play with a Friend! Pretty awesome account with several raid ready level 120 characters and a ton 110 characters ready to quest through Battle for Azeroth as well. This was a husband/wife account and characters are split between 2 Battle for Azeroth upgraded WoW Licenses. Tons of love put into the characters and every one is amazingly transmog'd and has tons of old gear and transmog sets available as well! 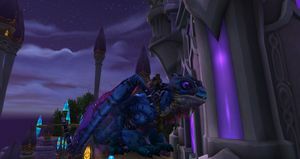 275 Mounts in game! 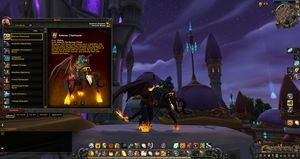 An amazing collection including Ashes of Alar, Headless Horseman, Grand Expedition Yak - a Transmoggers best friend, limited edition Tyrael's Charger, Corrupted Fire Hawk, Pureblood Fire Hawk, Hellfire Infernal, Astral Cloud Serpent, Grove Warden, Llothien Prowler, Headless Horseman, Rivendare's Deathcharger, Antoran Gloomhound, Challengers War Yeti, Swift Zulian Panther, Soaring Skyterror, Antoran Charhound and tons of other raid boss, meta mounts and epic flying/riding mounts to choose from! Titles and achievements galore, including Cutting Edge for Argus and Timelord. Destiny 2 account with all the expansions with a geared and raid ready hunter. 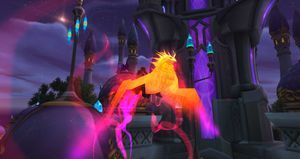 Pureblood Fire Hawk -- -- Rare boss drop from Ragnaros, the Fire Lord! 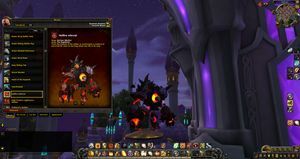 Hellfire Infernal Mythic Gul'dan Mount Uber Rare! Astral Cloud Serpent VERY Rare Mount from Elegon--Also the coolest Cloud Serpent Model! 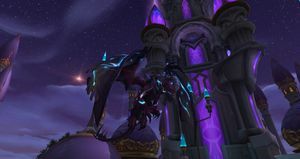 Vitreous Stone Drake Rare Drop from Rare Spawn in Stonecore and Awesome Looking Drake! 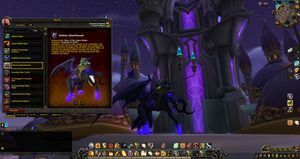 Antoran Gloomhound Glory of the Argus Raider! 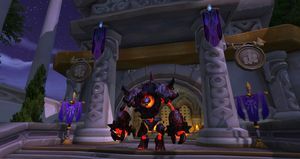 Core Hound Defeated Ragnaros during WoW 10th Anniversary Celebration. Coalfist Gronnling Rare Warlords of Draenor Drop -- Bigger, Uglier Poundfist! Arcadian War Turtle "Bred for destruction by an insane warlord in a far-off land, but at least the seat is warm." 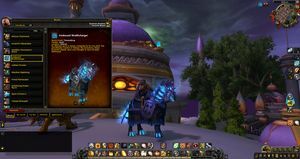 Deathlord's Vilebrood Vanquisher DeathLord's Class Mount added Patch 7.2.5 -- Long Quest Chain to Acquire Legion Flying and this Mount! 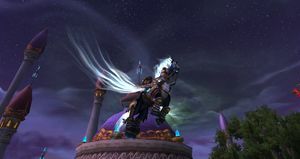 Highlord's Golden Charger Paladin Class Mount added Patch 7.2.5 -- Long Quest Chain to Acquire Legion Flying and this Mount! 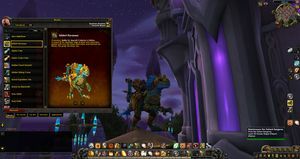 Huntmaster's Loyal Wolfhawk Hunter Class Mount added Patch 7.2.5 -- Long Quest Chain to AcquireLong Quest Chain to Acquire Legion Flying and this Mount! 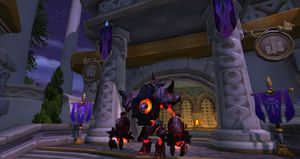 Netherlord's Accursed Wrathsteed Warlock's Class Mount added Patch 7.2.5 -- Long Quest Chain to Acquire Legion Flying and this Mount! 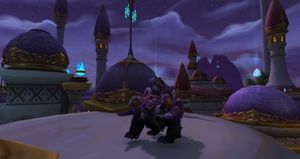 Great Greytusk Warlords Rare Mount received from killing Gorok. Vanilla PvP Title - Knight-Champion Hunter | Collector's Edition Burning Crusade! 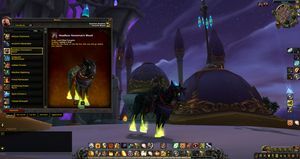 | Vanilla PvP Titled - Knight-Lieutenant Warlock with Netherwhelp's Collar ( Netherwhelp Pet ) still in Bags!